This is a show about leaving. As many of you are aware, SHoP will close down/move on July 31st. 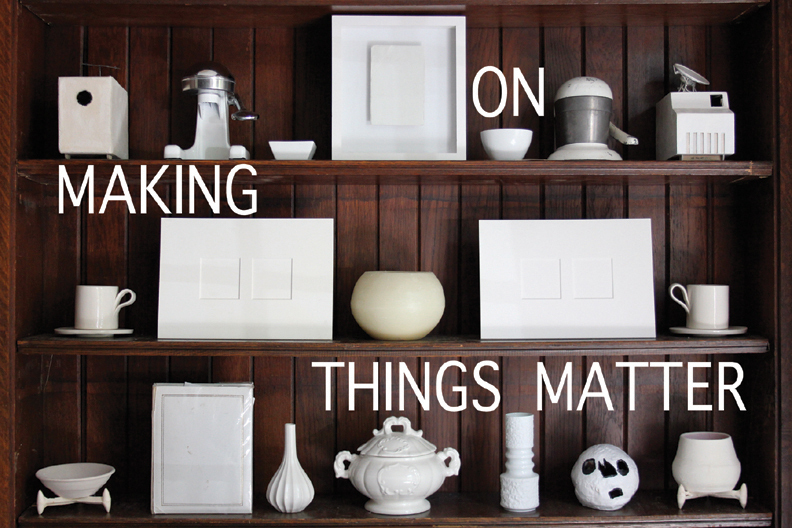 In keeping with tracking our life in the house, this exhibition explores strategies for holding onto experience, for wringing the meaning and significance out of the things that happen to us. We take pictures, we buy souvenirs, we write in journals, we perform rituals, we have parties, we tell stories and embellish them. Clearly, without memory we are helpless, but why not just let it happen and move on? Is enjoyment of an experience exclusive of the possibility of documenting it? Do we have to choose between immersing ourselves in experience and abstracting ourselves from it so as to understand, document, remember, define it? Cognitive science suggests that when we recall something, we are in each case remembering the last time we remembered it, and not returning to the primary source. Memory is fugitive, like the color red. It cannot maintain vibrancy for long, yet certain experiences, whether chosen or imposed, persist as primary, significant, essential narrative features in our autobiographies. Can these moments be authored, or do they happen in spite of us?